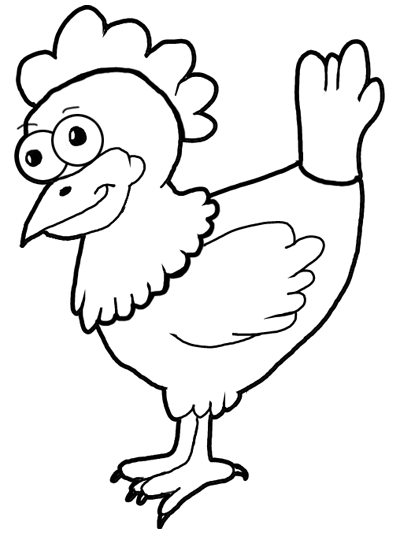 Free Chicken Clipart, do you freeze eggs? The significant other always buys tons of milk... right after I go to the grocery. He does the same with eggs... Well, he did and then I went and bought an egg factory: six chicken hens and two duck hens = over 60 eggs per week. Help! Recently, I discovered milk can be frozen - just be sure to pour about a cup out to allow for expansion. My eggs always freeze in the fridge. Except the annoyance of getting the shells off they work just fine. So, I wondered; can you freeze eggs? We freeze people eggs, why not poultry eggs? Turns out, it's a yes. Read the Frozen Eggs link below for how to. We have hens, so we've considered freezing eggs before, but as it turns out fresh eggs last 4 months in the fridge if you don't wash them, so we haven't had to try freezing...yet!